The scent of fresh laundry? It's always been somewhat intoxicating to me. Every time I walk by a laundromat, I just have to draw in a deep breath and enjoy the loveliness that wafts out. 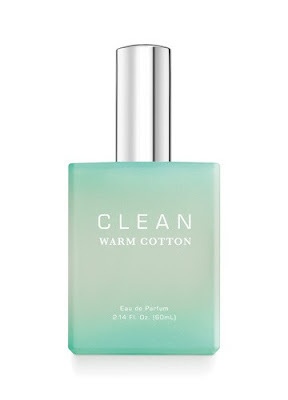 And since I discovered CLEAN Warm Cotton Eau de Parfum Spray, I have to say I feel as though I've died and gone to heaven! As soon as you open the bottle and spritz just a tiny bit, you'll smell the exact scent of fresh laundry. It's impossible to feel worried or upset when this aroma surrounds you -- it just exudes cleanliness and utter relaxation. A sincerely interesting blend of notes comes together to really create a crisp, easy scent. Fruity citrus, watery green pear and orange flower combine with verbena, musk, fougere and amber. And accents of marine essences really top it all off and just give it a little something special. When all is said and done, this is definitely a fragrance I want near me in a pinch. Life is just better with the scent of fresh laundry and warm cotton surrounding me! 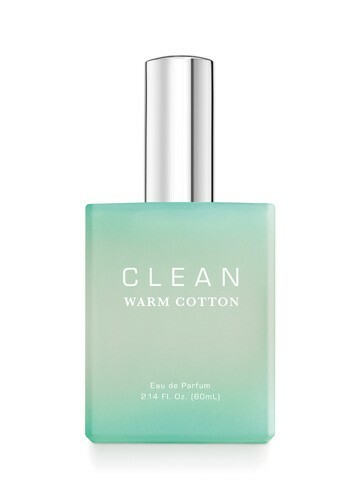 CLEAN Warm Cotton Eau de Parfum Spray retails for $69 at sephora.com.